We don’t just feature the same handful of trains you find on other sites. We’ve gone out of our way to cover trains and train subjects that have been ignored for far too long. We even take you to festivals, special events and museums that celebrate America’s long love affair with the historic steam train. Browse our online catalog! Use the Sort by to find the DVDs you’re looking for. You can also Search products in the search box to your right by entering a word or number (frisco, 261, etc.) Click on the DVD covers for full descriptions and video preview. Some items are available in money-saving Combo Sets. We accept all major credit cards. Payment by check can also be made. Friend us on Facebook for exclusive sales and offers. Join our newsletter for the latest from the tracks. This DVD presents the Previews for 20 of our earliest releases. If you're not sure which of our full length DVDs you'd like to add to your collection, this Previews DVD is for you! See short previews from 20 of our programs. It's 70 minutes long and a great bargain. You will enjoy it, and the kids in your life will watch it over and over. Makes a great gift too! NO narration - less talk, more action! Like Us for Exclusive Content! 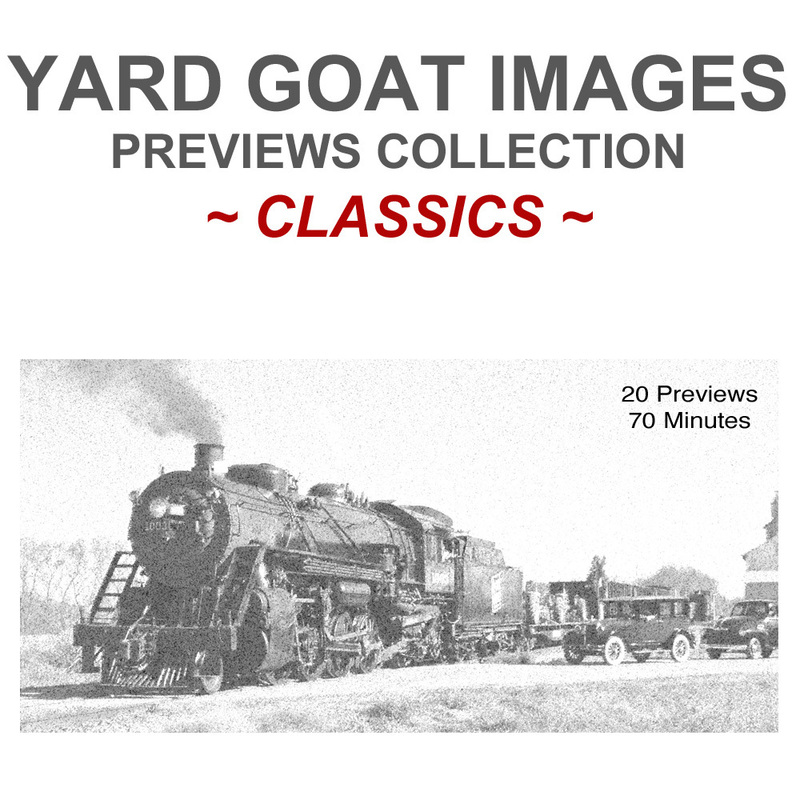 Join our mailing list to receive the latest news and updates from Yard Goat Images. Your email will never be distributed without your permission!